Ngaropi is a registered general and obstetric nurse, member of the New Zealand Association of Counsellors and an active iwi member. Ngaropi has worked in the health and social service area in a variety of environs for more than 40 years. 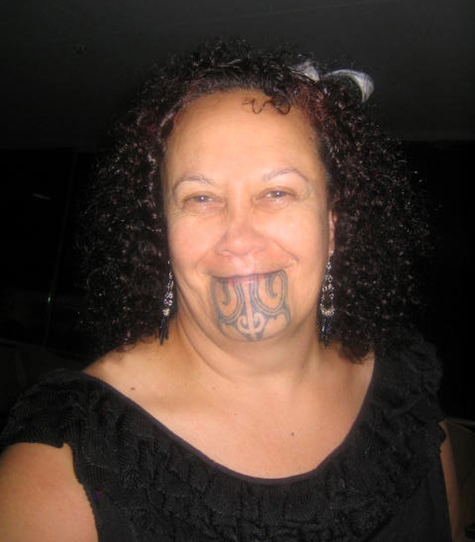 Throughout this time she has been involved in numerous local and national community based projects, implementing a variety of kaupapa Māori services, trainings, and resources. She is a foundation member, Director and Senior Family Violence Programme Facilitator and Educator for Tū Tama Wahine o Taranaki (TTW), a tangata whenua development and liberation service. Ngaropi has been at the forefront of hauora Māori developments in Taranaki encouraging whānau to ‘up the ante’ by choosing to actively pursue purposeful tikanga based living. Supporting whānau to dispel the illusion that their situation can’t be changed or improved upon and that it is our collective responsibility to be actively involved in that reclamation process with whānau, hapū and iwi. There are very few who can demonstrate her level of long term commitment, skill, networks and experience and even less who have continuously challenged any system or practice which is mana depleting or placing vulnerable persons, children, and women at risk. In recognition of her work Ngaropi received an international award from the Nursing Network on Violence Against Women International – For Excellence in Nursing Practice (2011). Ngaropi also holds the research development portfolio for TTW and has been involved in undertaking community based research through the Health Research Council of New Zealand, Te Rau Matatini, and the Department of Internal Affairs. She is a former member of the Ministry of Justice Domestic Violence Programme Approvals Panel, Māori Reference Group to the National Taskforce on Family Violence and a former member of the Family Violence Death Review Committee. Ngaropi is a co-author of He Waipuna Koropupu: Taranaki Maori Wellbeing and Suicide Prevention, He Mokopuna He Tupuna: Investigating Maori Views of Childrearing Amongst Iwi in Taranaki, and is a contributing author to For Indigenous Minds Only – A Decolonization Handbook (2012) with the chapter “Kua Tupu Te Pa Harakeke: Developing Healthy Whanau Relationships”.